The VVIPs only can have it. 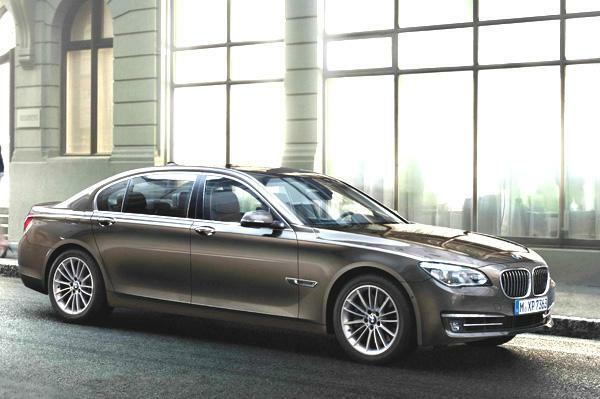 BMW 7-Series was a hit amongst the posh, but adding a pinnacle of security makes the package more delightful. Thinking in the right way, BMW brought the 760Li High Security to India. Price is yet unknown, the Bavarian carmaker convinced the armoured flagship sedan is certified to the international standard guideline BRV 2009 and the vehicle meets the highest requirements of ballistic protection. In order to gain the maximum security for its owners, the comfort level is not harnessed at all. BMW developed the 760Li High Security at its Dingolfing plant alongside the standard 7-Series where the safety elements were inputted in the integral part of the vehicle production process. Hope so, the perfect blend of luxury and security with the reinforced suspension, dampers and suspension strut top mountings and more will aide to safeguard its owners. This approach ensures finely-tuned vehicle performance characteristics that cannot be achieved by retrofitted armour plating. Even at the other end, we mean at the service and maintenance, BMW provided exclusive consultancy and personalized sales and service support to all its customers across the country. Special certified garages are made and are authorized to do the maintenance, where access to the vehicle is allowed only to a very few selected and specially trained personnel. Stretching further, the BMW offers special driver training programs for security vehicles as well. Hops so, the BMW 7-Series High Security is not the only one in its category in India. Mercedes-Benz M-Guard and Audi A8 Security are also launched on the same note. It will be interesting to see who is going to be its first buyers. Hence, we are looking forward whether it could be the new PM Narendra Modi to get this vehicle for his fleet.